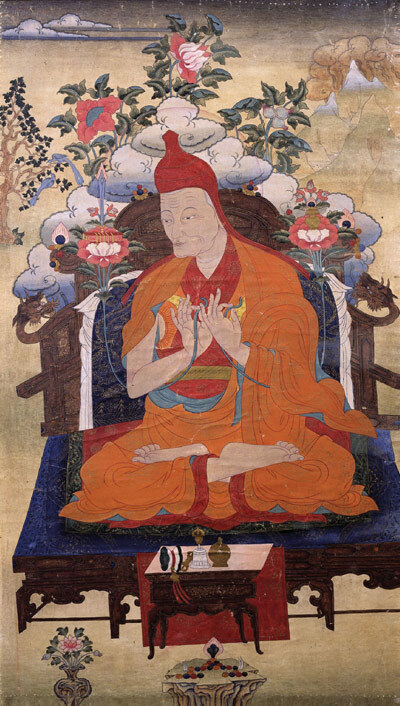 The Treasury of Precious Instructions or Dam-ngak Rinpoché Dzö is one of Jamgön Kongtrul’s Five Treasuries. It can be considered one of the most important contributions to Tibetan literature, and a further statement of Jamgön Kongtrul’s non-sectarian values, because it contains the collected transmissions and esoteric instructions of the eight principal practice lineages of Tibetan Buddhism that trace their lineages back to India. The project to translate all eighteen volumes of The Treasury of Precious Instructions will take many years and involve numerous translators experienced in the different traditions represented in the collection. Sarah Harding has completed the Chöd (Severance Lineage) volume and is working on the Zhijé (Pacification Lineage) volume, and Richard Barron (Chökyi Nyima) is finishing the first Nyingma volume. To mark the official beginning of this project, Tsadra Foundation printed Richard Barron’s initial translation of Kongtrul’s Catalog (dkar chag) of The Treasury, which is freely available for download on this page. Elizabeth Callahan is currently working on the seventh volume and the Dharmachakra Translation Committee is working on the tenth volume, both of the Marpa Kagyu Lineage. Stephen Gethin of the Padmakara Translation Group is working on the sixteenth volume (Miscellaneous Collections). Gyurme Dorje is working on the 18th volume (Jonang Tradition). 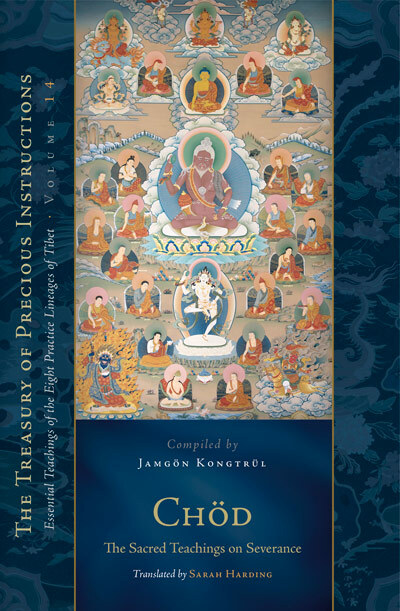 This catalog presents the eighteen volumes of Jamgon Kongtrul’s Treasury of Precious Instructions: Essential Teachings of the Eight Practice Lineages of Tibet (gdams ngag rin po che’i mdzod). Through this collection Jamgon Kongtrul and Khyentse Wangpo encouraged respect for the principal transmission lineages of practice that came from India. The catalog includes detailed information about each text such as size, location, lists of people associated with each text, lineage data, lists of translations available, and comparisons with previous catalogs. For research purposes, all colophons, text titles, and author names are recorded in both Extended Wylie and Unicode Tibetan.